These work so well in winter - they provide that extra traction on steep declines and hills and really help on your swing when it gets slippy. Been using them for 6 years and they go on every pair of winter shoes! 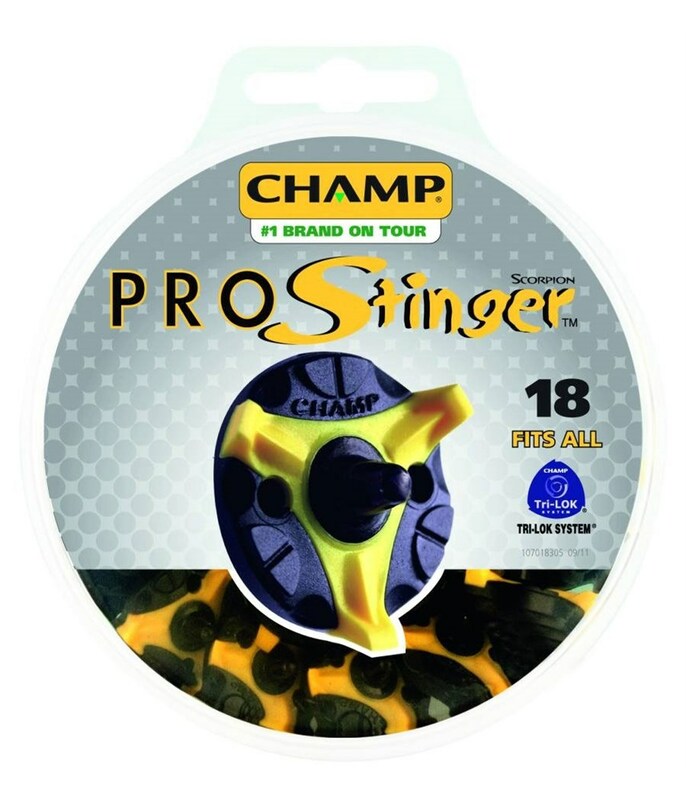 Following the success of the Scorpion Stinger, Champ have designed the new two color, three piece material Pro-Stinger to provide superior traction while playing in adverse weather conditions. 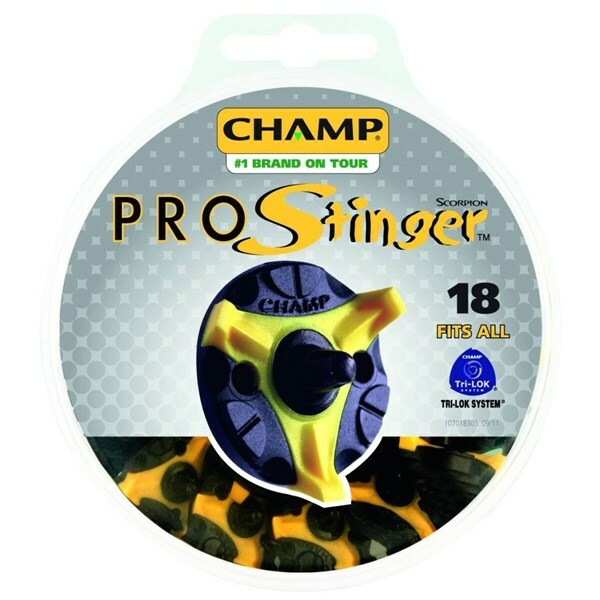 With its metal centre tip and cushion, the Pro-Stinger provides unsurpassed support and traction that only the best desire. 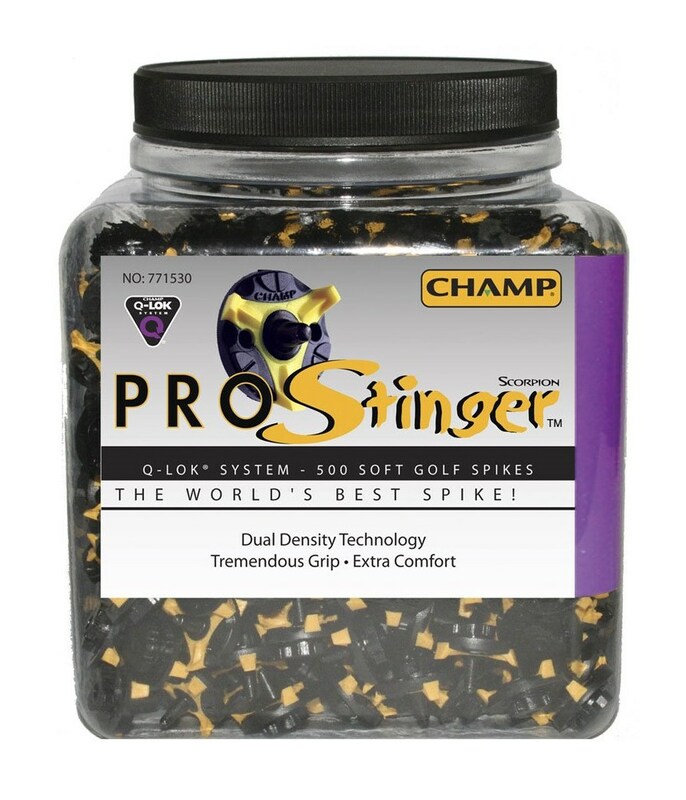 The CHAMP Q-LOK System eliminates the traditional threaded system for fastening spikes to shoes Q-LOK incorporates a patented design based on two interlocking triangles A female receptacle in the shoe sole and a male receptacle on the spike Q-LOK simply requires downward pressure to be applied on the spikes while making a quick 1/4 clockwise turn to lock them in place A reverse turn will unlock the spikes. Also fits shoes using the QFit system. 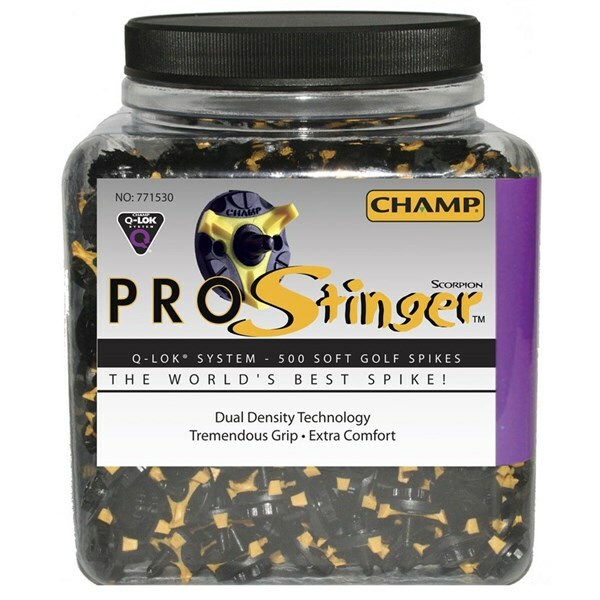 The steel thread makes it easy to insert and remove spikes, and reduces the occurrence of lost spikes The metal-to-metal contact provides a secure attachment between the shoe and the soft golf spike Small thread replacement spikes accommodate a wide variety of golf shoe brands. For different shoe models the above types of threads may not be suitable, please check with respective manufacturer for spike fitting.